Jerome Cardano may not have specifically discovered quantum theory, but his work on probability and binomials helped make it possible. 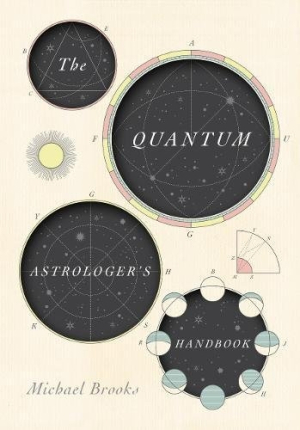 In The Quantum Astrologer’s Handbook, Michael Brooks explores the Renaissance mathematician’s life and legacy, from his early quest for fame to how his penchant for astrology earned the ire of the Inquisition. This is a fun read that blends biography and science with a bit of magical realism, a fictionalized book with lots of factual research behind it. Brooks deploys a clever framing device in which he, as the author, visits Cardano’s prison cell while the scientist awaits a hearing with the Inquisition over his astrological charts, and tells him about the future. This allows him to imagine how Cardano would respond to the time-and-space travel that serves as a logical extreme of his probability work, while using dialogue to explain these ideas in layman’s terms. Brooks also peppers the book with the parallel story of how quantum science came to be, tracking how later scientists, from Isaac Newton to Albert Einstein to Niels Bohr, built upon the concepts that Cardano pioneered. While the science often takes center stage, Cardano’s life is compelling in its own right. Professional rivalries, his high-profile treatment of an ill monarch, a son who was executed for murder and another who actively undermined his father’s legacy—Brooks’s approach lets the book discuss all these conflicts in depth. As with everything else in the book, the imagined conversations between author and subject let Brooks both tell Cardano’s story with the benefit of current research and attempt to view things from the perspective of a Renaissance man. That interplay between the past and present makes The Quantum Astrologer’s Handbook an unusual biography, but a memorable one.